That bittersweet time of the year is upon us - the end of the summer, the start of the new school year. Americans around the country are ready to celebrate one last time, and the BOTY app team wants to help make sure this season goes out with a bar-like bang. 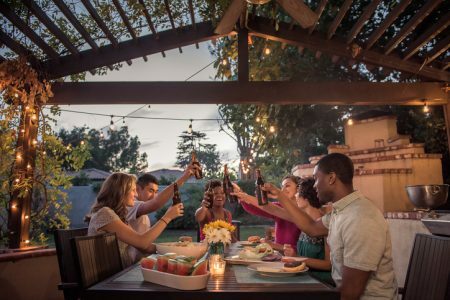 Whether you’re hosting a mega barbecue with hundreds of people or plan to have a few close friends over, there are plenty of drink ideas on this list to whet your taste buds. Best of all? We made sure they’re all easy to make and even easier to drink. Here are the 10 ultimate drinks you should be serving up this Labor Day Weekend. When the sun is out, Sangria is always a good idea. Round up the last of the season’s watermelons to make this cocktail, and literally enjoy the fruits of your (easy) labor. Note: this recipe will need a blender. Full instructions here. Whether you’re celebrating Labor Day weekend in the South or not, everyone loves themselves a glass of sweet tea. And this one will literally knock your socks off if you drink too many. There’s no reason your non-alcohol drinking guests should have to drink boring soda. This cocktail is sure to make them ask for seconds and even thirds. How can you say goodbye to summer without having a margarita? This version will yield you a whole pitcher at a time and includes beer, which gives it a unique taste and extra potency. Simple yet elegant, and a whole lot of yummy, this cocktail is a crowd pleaser. Best part? You get to make a whole pitcher of it at a time. Perfect if you’ll be hosting a large party. It’s time to put that blender to good use one more time before the summer’s over. This frozen take on the popular rum drink will wow your taste buds. Shots aren’t for everyone, but for those who partake, nothing says party like a jello shot. This one is inspired by the delightfully easy to shoot Lemon Drop. We suggest making double - these will go down the hatch fast. Full instructions here. Depending on the type of day you’re looking to have, this spin on the classic party drink can make or break it. Note bene: this concoction is not for the lightweights, and will likely have hangover repercussions. You’ve been warned. 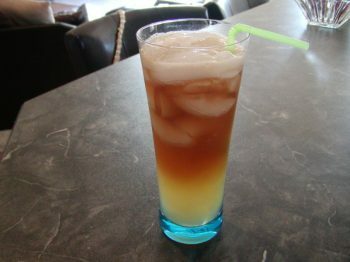 A rum-y take on a tequila sunrise, this refreshing cocktail is delicious and beautiful to look at. Get the instructions on how to get the perfect ombre effect, here. If you’re having over a lot of people, punch is a great way to go. Here’s one all the minors and designated drivers will appreciate. Mix it up, set it out, and let ‘em have at it. From all of us here at the BOTY app - have a happy, fun, and safe Labor Day Weekend!